This report on the world probiotic drinks market is a comprehensive market intelligence study that brings forth the lucrativeness of the said market. Beginning with an executive summary that comprise a snapshot of how the demand for probiotic drinks has evolved over the recent past and where is it headed to in the future, the report delves into the analysis of various market dynamics, such as opportunities, trends, challenges, and drivers. A detailed overview of the said market with the analysis of porter’s five forces has been provided in a bid to present a concise and clear landscape of the market vendors to the readers. The market intelligence study also points at mergers, important conglomerates, numerous research and development activities, acquisitions, and corroborations. 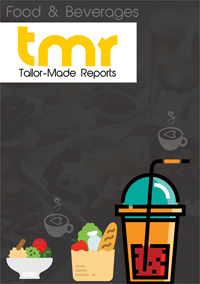 The said publication allows probiotic drinks market stakeholders to study the market in detail and carefully and take well-informed decisions so as to optimize profit and minimize cost. The world probiotic drinks market is expected to grow at a robust CAGR and is anticipated to attain a significant market valuation by the end of the period of forecast that extends from the year 2017 to the year 2025. Due to a large number of health benefits associated with probiotic drinks, the said market is growing at an exponential pace of development at the global level. Furthermore, gut related disorders and health awareness have prompted the growth of probiotic drinks in the daily diet of individuals. Furthermore, the sector is triggered in a major way by the demand directed from the pharmaceutical and food & beverage sectors. Probiotic drinks have also come up as a potential functional beverage. Furthermore, convenient incorporation of these drinks so as to gain various health benefits is also one of the main growth factors in the development of probiotic drinks. Growth of the functional food & beverages and nutraceuticals market has also provided an impetus for the increased demand of probiotic drinks. Various health factors such as maintenance of gut health, improved body metabolism can be effectively be addressed by inclusion of probiotic drinks into daily diet. The probiotic drinks market vendors have been forecasted to obtain new opportunities as there has been an increased emphasis on spending more on the work of research and development by many of the Probiotic Drinks manufacturing companies thereby driving further growth of the said market. In addition to that, many of the market participants are anticipated to make a foray into the emerging economies that are yet to be explored so as to find new opportunities. The global probiotic drinks market is segmented into North America, Europe, Asia Pacific, and rest of the world (RoW). Asia Pacific is leading the world market for probiotic drinks. China and Japan have the major consumption of fermented foods which is very likely to support the market growth of probiotic drinks. Furthermore, increasing awareness of the healthy food habits and rising disposable income of the consumers in India is also triggering the growth of the international probiotic drinks market. Furthermore, augmented demand of functional beverage such as probiotic drinks in the beverage industry is regarded to be a key driver in this region. A few leading market players that are operating in the world probiotic drinks market have been profiled in this report. The market share analysis of the leading market participants of this market has been offered in the said publication so as to assist readers of this publication to gain a deep understanding of their status and position in the industry.